Posted on June 4, 2015 at 12:51. 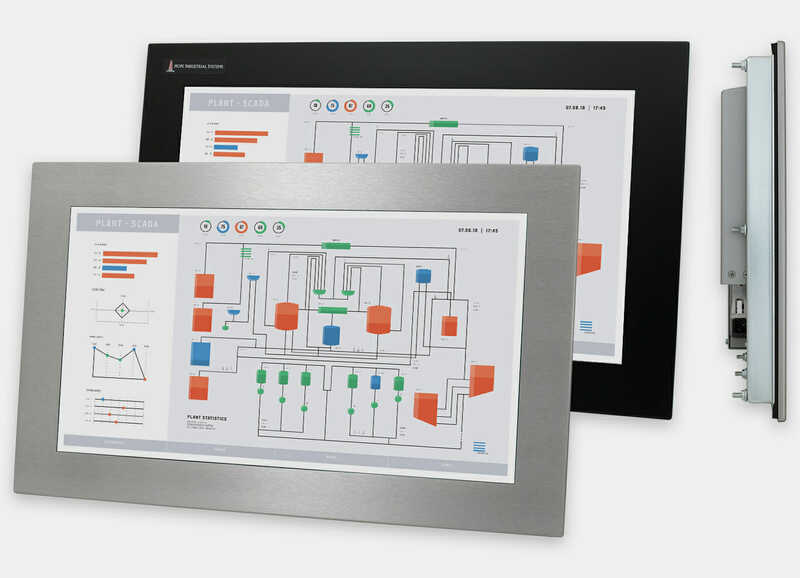 Complementing our existing 22″ and 23″ widescreens, Hope Industrial Systems is pleased to announce the addition of a 19.5″ widescreen option to our popular Panel and Universal Mount Industrial Monitor product lines. Our smallest widescreen to date, the new 19.5″ models will provide a widescreen format in space saving enclosure sizes. Like our existing Industrial Panel Mount and Universal Mount monitors, the new 19.5″ widescreens will be NEMA 4/4X rated for wash-down applications, available in black carbon or stainless steel, and come with tempered glass or touch screen windows. Our industry-leading 3-year warranty and 30-day money back guarantee are standard. 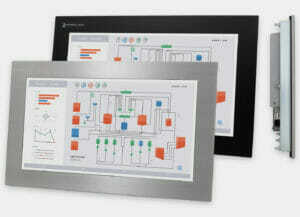 With a high 1920×1080 resolution (1080p), the 16:9 wide aspect ratio of our new 19.5″ monitor will allow automation professionals to develop HMI screens for the factory floor using their every-day laptop computer. Watch for a release date by the end of 2015.